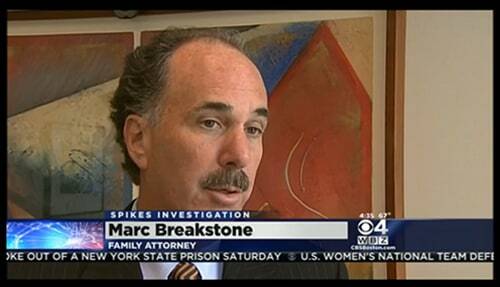 Attorney Marc L. Breakstone spoke to Fox 25 News Boston after State Police issued a citation charging former New England Patriots linebacker Brandon Spikes in the hit-and-run accident that injured a family of three. Breakstone is representing the family. "It's surprising to them that Mr. Spikes would drive so recklessly and then just leave the scene," Breakstone told the news station. "It will affect them for a long time. This could have been a story with a tragic ending." More coverage on: The Boston Globe, The Boston Herald, and WCVB. Attorney Marc L. Breakstone speaks on behalf of his clients, the family whose car was struck in a hit-and-run car accident in Foxborough. State Police are investigating whether the car was hit by the vehicle registered to ex-New England Patriots linebacker Brandon Spikes, which was found abandoned nearby. Coverage on: WBZ, WCVB, FOX 25 TV Boston, The Boston Globe andBoston Herald. American Medical Response, the largest ambulance company in Massachusetts and the United States, has been found responsible for the death of a woman who was negligently dropped on a stretcher, which tipped over in the parking lot of a Plymouth medical facility. Attorney Marc L. Breakstone represented the woman's family. Attorney David W. White was quoted in a Boston Herald article about challenges faced by attorneys who represent clients who have been injured in snow and ice accidents in 2015. Many Massachusetts attorneys have seen an increase in calls about snow and ice injuries. Attorney David W. White was quoted in a Boston Business Journal article about the increase in snow and ice claims in the winter of 2015. Attorneys Marc L. Breakstone, David W. White and Ronald E. Gluck were named to the list in the personal injury practice area. The list recognizes attorneys who have achieved the peer reviewed rating of AV Preeminent by Martindale-Hubbell. The AV Preeminent rating is a significant accomplishment and demonstrates that a lawyer's peers have ranked him or her at the highest level of professional excellence. Attorney Marc L. Breakstone was interviewed by Massachusetts Lawyers Weekly for an article on changes Massachusetts has seen since the passage of legislation which drastically changed the way injured plaintiffs can file medical malpractice lawsuits. Attorney Marc L. Breakstone was interviewed by Massachusetts Lawyers Weekly about a Superior Court judge's ruling that a medical malpractice plaintiff can hold a hospital vicariously liable for the alleged negligence of an anesthesiologist. The doctor was working at the hospital as an independent contractor, but served as the hospital's chief of staff in anesthesia and introduced himself to the plaintiff wearing a lab coat with the hospital's name on it. Attorney Marc L. Breakstone was featured in a front page article concerning factors which may influence plaintiffs' attorneys to take medical malpractice cases to arbitration and waive the right to a jury trial. Breakstone, White & Gluck announces that attorney Marc Breakstone has obtained an award for a client in a wrongful death case involving radiology malpractice. Attorneys Marc L. Breakstone, David W. White and Ronald E. Gluck have been selected for Super Lawyers honors for an 11th year. Our attorneys have been named to various lists, including the Top 100 New England Super Lawyers, Top 100 Massachusetts Super Lawyers, New England Super Lawyers and Massachusetts Super Lawyers. Associate Samuel Segal has been selected to the Massachusetts Super Lawyers Rising Stars list for the second consecutive year. 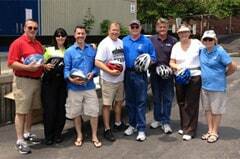 The Westwood Pedestrian and Bicycle Safety Committee distributed 150 bike helmets to children at Westwood Town Day. 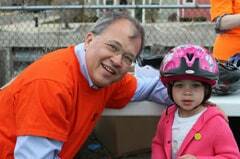 Attorney David W. White, a Westwood resident and member of the committee, helped fit the helmets for the children. Attorney Samuel A. Segal has been elected treasurer of the Board of Directors of the Massachusetts Bar Association's Young Lawyers Division for the 2014-2015 year. In 2014, Breakstone, White & Gluck donated 2,000 bicycle helmets to children in Massachusetts, through partner organizations such as Boston Bikes' Roll It Forward, CYCLE Kids of Cambridge and Bikes Not Bombs. 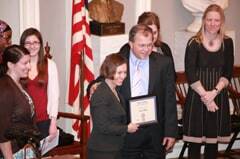 Attorney David White was recognized for receiving the "Volunteer of the Year" award from Boston Bikes. Breakstone, White & Gluck has donated 325 bike helmets to Somerville Public Schools, where CYCLE Kids of Cambridge provides curriculum that teaches fifth graders about healthy eating, cycling and safe riding techniques. The program encourages children to wear helmets at all times. Breakstone, White & Gluck volunteered and fitted bike helmets for children at a bike giveaway organized by Boston Bikes' Roll It Forward program. The program collects used bikes and repairs them for children in the city who would not otherwise have one. Breakstone, White & Gluck donates children's bike helmets to Worcester Earn-a-Bike and the Friends of Lexington Bikeways. Attorney David W. White of Breakstone, White & Gluck appeared on Fox 25 TV Boston to discuss the fine, GM's recent bankruptcy proceedings and his thoughts about handling recall notices. 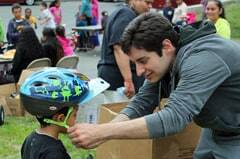 The Westborough Bicycle and Pedestrian Advisory Committee and attorney David W. White handed out the bike helmets at the Westborough Spring Festival and the Boroughs Family Branch of the YMCA of Central Massachusetts. Breakstone, White & Gluck celebrate an anniversary. In 1992, attorneys Marc L. Breakstone, David W. White and Ronald E. Gluck founded the firm of Breakstone, White & Gluck. 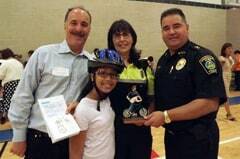 Breakstone, White & Gluck partnered with the Framingham Bicycle and Pedestrian Advisory Committee to donate the helmets. The Boston Bikes' Roll It Forward program has kicked off another season of important and fun work by donating 59 refurbished bikes to children ages 5-7 who needed one at the West Broadway housing developing in South Boston. Attorney David W. White was among the volunteers and helped fit helmets for the children. Breakstone, White & Gluck donates bike helmets for the iCan Shine Camp's second year in Arlington. iCan Shine is a national non-profit organization which teaches children with disabilities how to ride bicycles. Each year, it hosts nearly 100 camps in 32 states. A local resident brought the program to Arlington. Attorney David W. White was honored for Breakstone, White & Gluck's donation of children's bike helmets to Boston Bikes' Roll It Forward program and his volunteer efforts. White has helped at events by fitting helmets for the children. He was honored at the 6th Annual Boston Bike Update, which was held in historic Faneuil Hall in Boston. Others who were recognized include Bikes Not Bombs of Jamaica Plain, which received the Organization of the Year award, Jon Ramos who was honored as Rookie Advocate of the Year and Vineet Gupta, who was named Unsung Hero of the Year. 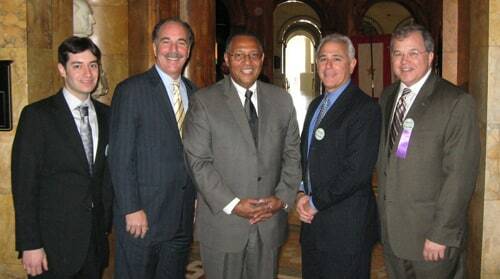 From L: Samuel A. Segal, Marc L. Breakstone, Supreme Judicial Court Chief Justice Roderick L. Ireland, Ronald E. Gluck and David W. White. The attorneys of Breakstone, White & Gluck lobbied state legislators on Beacon Hill to increase funding for civil legal aid as part of the annual Walk to the Hill 2014. Breakstone, White & Gluck announces that attorney David W. White has obtained an award for a client seriously injured in a premises liability case. Two young children in Franklin tragically died after getting trapped in a defective wooden hope chest during a game of hide and seek. The chest was one of 12 million manufactured by the Lane furniture company of Virginia between 1912 and 1987. Attorney David W. White commented on ways consumers can avoid injuries from defective products, including second-hand goods. Attorneys Marc L. Breakstone, David W. White, Ronald E. Gluck and Samuel A. Segal have been named to Super Lawyers lists, including the Top 100 New England Super Lawyers, Top 100 Massachusetts Super Lawyers, New England Super Lawyers, Massachusetts Super Lawyers and Massachusetts Super Lawyers Rising Stars. Massachusetts Lawyers Weekly Article: "Too Much Information? Lawyers Split Over Online Juror Surveillance"
Attorney Marc L. Breakstone commented on the divide among lawyers on the practice of monitoring social media use and Internet activities by jurors. As a direct result of the tragic death of Breakstone, White & Gluck client William Nichols in a propane gas explosion in July 2010, a leading federal agency has issued a safety alert regarding nationwide measures to prevent catastrophic propane gas explosions. Breakstone, White & Gluck donated 175 bike helmets to Bike Safety Day, an annual event organized by the Kiwanis Club of Somerville. The event was held at the Winter Hill Community School. Bicycle or Car Accidents? We Have an App for That! Breakstone, White & Gluck has released new mobile apps on the Google Play apps store and Apple iTunes store. 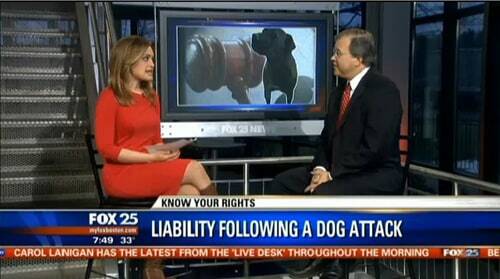 Attorney David W. White explained Massachusetts law regarding dog bites on Fox 25 TV Boston. When someone is injured by a dog in Massachusetts, they can file a lawsuit in civil court to recover damages. White said the law holds dog owners strictly liable for dog attacks, only providing a few exceptions. These include if an injured person is tormenting a dog or trespassing on another person's property. However, when children suffer dog bites, there is a presumption the child was not teasing or tormenting the dog.